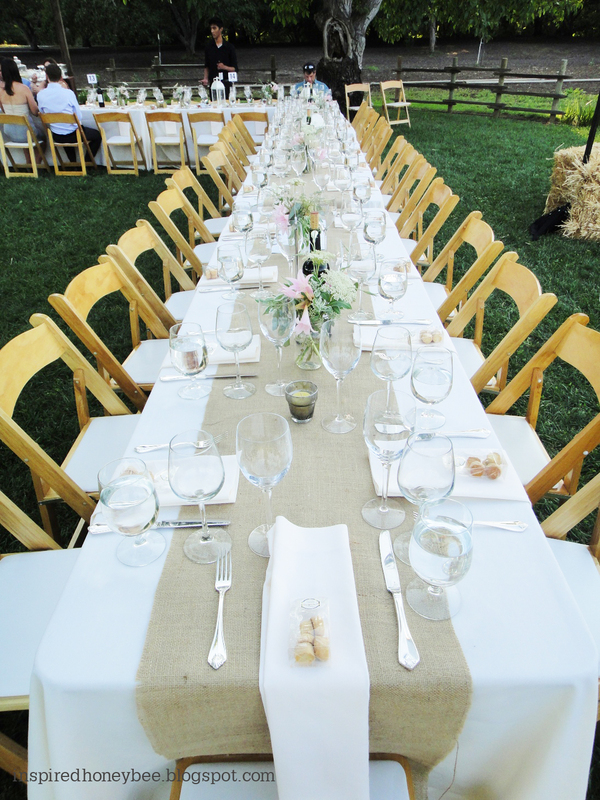 This week's featured bride texted me one early morning last winter with an unusual discovery - she had found a bag with endless yards of clean burlap on her San Francisco street corner! Then the estimated $500 question: should she take it? YES!! Imagine the wedding possibilities! I simply cut the runners in as straight of a line as I possibly could, then ironed the burlap, and went back to clean up the messy lines. After cutting out the runners, there was plenty of burlap leftover to create a banner (or two), cover a not-so-attractive pot and for future projects! Once everything was cut and ironed, I pulled out a string or two from the edges to give it a more rustic look. There's no need to sew anything! 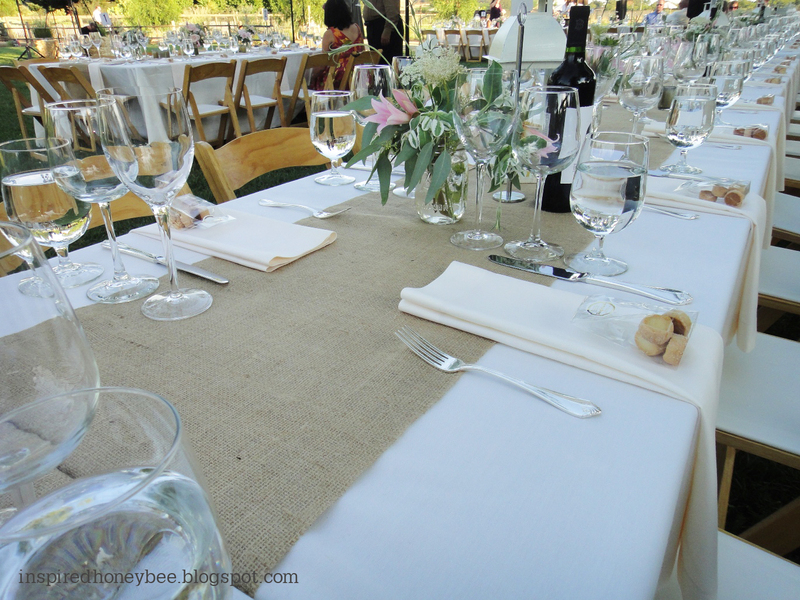 The end result was fabulous - simple burlap runners on off white linens really gave this tablescape a unique and bright look. Before I met Debbie I NEVER would have picked burlap up off the street... but it sure was a pot of gold! Debbie really does bring out the thrifty, crafty gal in everyone. Congrats, Aliza!! Can't wait to see more photos of your big day. OH MY GOSH - I can't believe it was on the street corner. SF is so magical! 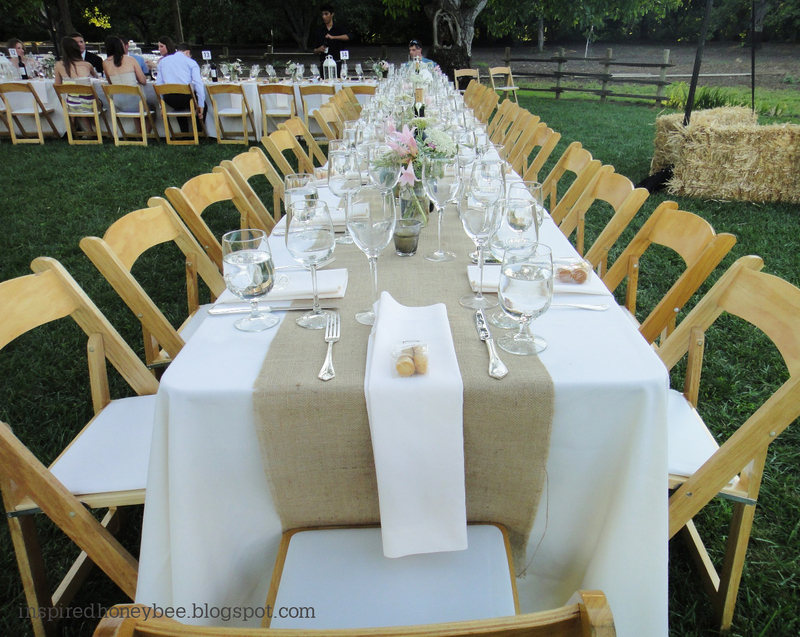 The white + burlap is so perfect for this gorgeous setting! I love that story. Girls, the runner looks great! Cant wait for more posts.